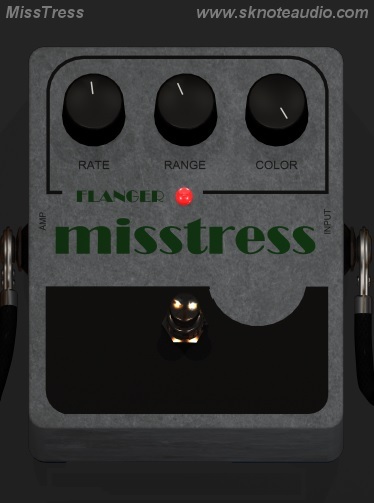 MissTress is a flanger effect modeled after an old, famous, revered unit, with a huge range of sounds, from subtle to special effects, from twangy to ethereal. Great on guitar, it is useful on all kinds of sources while keeping an extremely simple set of controls and features. It just sounds right.